Are you trying to find the best place to trade in your car? Arrotta's Automax & RV is one of the leading dealerships in Spokane, and if you’re wondering how much your truck is worth, or if it’s a smart move to trade-in that old sedan, we’re the place to go. By using the form below, you can find out how much your trade-in is worth in no time at all. Just fill in the required information, and if possible include an interior and exterior photo, and one of our team members will promptly get back to you with a quote. It’s a quick and easy way for drivers from Spokane Valley, WA to Liberty Lake, WA to determine the value of their trade-in. Please don’t hesitate to contact us if you have any questions. Why wait, get started now! By submitting this form you agree to be contacted by a Arrotta's Automax & RV staff member. We will offer financing to anyone, no matter what your credit score may be. We also have a 30-day money-back guarantee, and provide a 3-month/3,000-mile warranty on any vehicle your buy from us. We invite drivers from in and around Moses Lake, WA to let us to help you get behind the wheel of the vehicle you need today. If you’d like more information, just give us a call at (509) 703-7797. 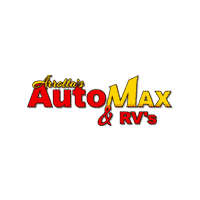 We look forward to seeing you soon at Arrotta's Automax & RV.